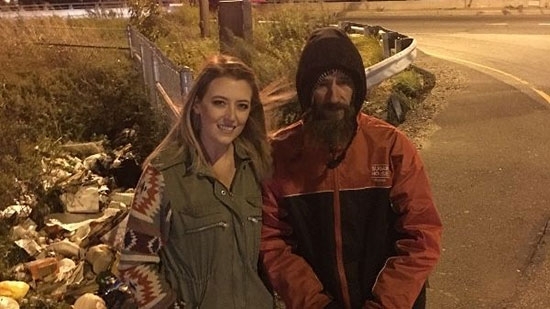 The homeless Philadelphia man who helped a young New Jersey woman when she ran out of gas on I-95 by using his last $20 has figured out what he plans to do with the over $385,000 in online donations he has received. That woman, Kate McClure, set up a GoFundMe page telling their story and asking for help giving Johnny Bobbitt Jr. a break. She wanted to try and secure a place to stay, transportation, and living expenses. Through the generosity of close to 14,000 donations, Johnny can do a little more. The latest update to the "Paying it Forward" page details his plans which include owning a new home and his dream car (a 1999 Ford Ranger). Two trust funds and a bank account will be set up in his name. One trust will payout a yearly 'salary' and the other will be invested for retirement. The bank account will be for daily expenses until he can find employment. Johnny will also give back and donate to several organizations that have helped him during this rough patch. Those decisions came at the advice of a lawyer and financial planner. Police are searching for the driver of a pickup truck following a fatal hit-and-run accident in Bucks County on Monday night. It happened around 8:15 p.m. on Street Road near Philmont Ave. in Trevose. Bensalem Township and Lower Southampton Township police responded to the scene. They found the two 18-year-old victims on the side of the road. The male victim said that the driver briefly stopped and helped move the female victim off the road, but then drove off. Both were taken to the hospital where the female victim died of her injuries. The male had minor injuries. Police are looking for the vehicle described as a 1990's two-tone maroon and tan or grey Ford F-150 with a ladder attached. It would have a missing passenger mirror and broken passenger headlight. The driver is described as a black male, 30-years-old, 6' 1", thin build, wearing blue baseball hat, black shirt, and jeans. Anyone with any information is asked to call police at (215) 633-3719. Philadelphia Police have identified the charred body that was found on top of a SEPTA train last week in Center City. The victim has been identified as 15-year-old Raekwon Jones of the 5100 block of Funston Street in Philadelphia. The body was discovered just before 8 a.m. on Friday at Jefferson Station on a Chestnut Hill East train. Jones had severe burns on his face and body. The medical examiner said that the teen was electrocuted and called the death accidental. Officials believe he was on the train when it entered the station but they do not know how long he had be there, where he got on the train, or why he was on the roof.